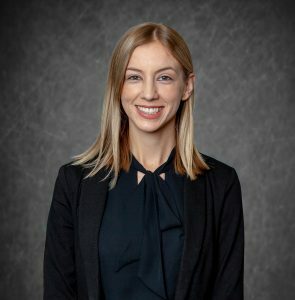 Blair joined our law firm as a paralegal in August 2018, after graduating from MTI College in Sacramento with an AA degree in Paralegal Studies. Blair lends her skills as a paralegal to assist our Surrogate, Egg Donor, and Intended Parent clients in their ultimate goal of family formation. When Blair is not busy preparing pre-birth order documents and gathering signatures to finalize contracts, she enjoys spending time with her boyfriend and black lab furr-baby, Goose. Masler Surrogacy Law works hard to protect Intended Parents, Surrogate Moms and Egg Donors. Let me help you in your journey today.